EvoFIT is an award-winning system for constructing facial composites of offenders by witnesses and victims of crime. It is currently being used by police forces around the world with great success. This ‘recognition’ type composite system does not require eyewitnesses to have good recall of an offender’s face, unlike the traditional ‘feature’ methods. Our clients, including police forces and security companies, state that the system is much quicker to use than traditional methods. Police forces have preferred EvoFIT to other recognition systems. 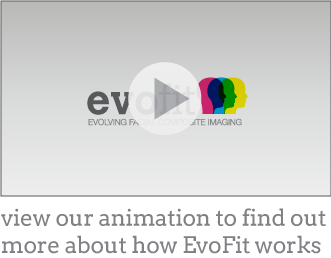 Training is a vital component of successful implementation of EvoFIT; we run comprehensive training courses with assessment, or shorter application-training courses, to fit with our licence agreement. Successful trials have demonstrated that EvoFIT outperforms current computerised composite systems. EvoFIT produces composites with a suspect identification rate of 60 percent, compared to only five per cent from ‘feature’ systems. A quality product with images that are so good a potential offender handed himself into the police for a serious offence. The system is very user friendly, and there have been good results. The quality is fantastic. New photofit system developed by UCLan is a ‘revelation’.